March 11th - Featuring Frankenstein Freebies! -- Mary Shelley, Percy Shelley, Lord Byron, and John Polidori decided to have a competition to see who could write the best horror story. After thinking for days, Mary dreamt about a scientist who created life and was horrified by what he had made; her dream later evolved into the story within the novel. 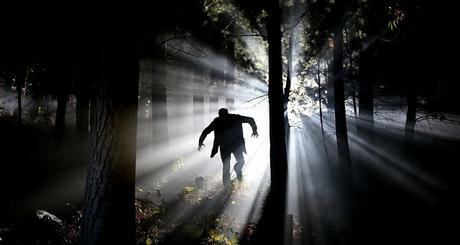 Terrifying, unnerving, more dangerous than death, Victor Frankenstein's monster has stalked the halls of English literature since its debut on March 11, 1818. 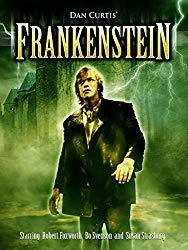 Birthed on the same stormy night which saw the debut of the romantic vampire in horror fiction, FRANKENSTEIN haunts our collective unconscious still. 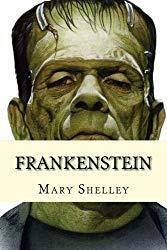 -- A novel written by English author Mary Shelley about the young student of science Victor Frankenstein, who creates a grotesque but sentient creature in an unorthodox scientific experiment. Shelley started writing the story when she was eighteen, and the novel was published when she was twenty. The first edition was published anonymously in London in 1818. Shelley's name appears on the second edition, published in France in 1823. 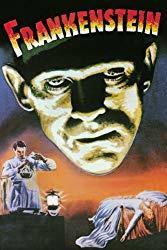 • Frankenstein (1931) -- Boris Karloff is the screen's most memorable creature in the story of Dr. Frankenstein, who tampers with life and death when he pieces together salvaged body parts to create a human monster. 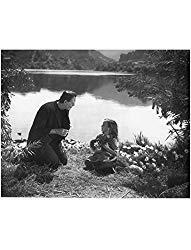 • Frankenstein Holding Flower by Little Girl -- This 8 x 10 inch photo is brand new, never used, never displayed and in mint condition. It has no holes, tears, rips, bends or any other defect! In stock and ready to ship! Professionally printed and ready for any private collection. Perfect for framing! • This mini Frankenstein Halloween Bunting is a scream! - If you love waffles and nuts, today is your lucky day -- it's Oatmeal Nut Waffles Day! Oatmeal nut waffles are a delicious and nutritious meal to enjoy any time of the day. They're typically eaten with yogurt and honey, but they're also great with peanut butter and syrup! - Although the bureau, which was called the Office of Indian Affairs, was formed on March 11, 1824, similar agencies had existed in the U.S. government as far back as 1775, when a trio of Indian agencies was created by the Second Continental Congress. Benjamin Franklin and Patrick Henry were among the early commissioners, who were charged with negotiating treaties with Native Americans and obtaining their neutrality during the American Revolutionary War. - To focus attention on the new millennium — so all humans, nations, and institutions devote this year to unparalleled dreams for a better world and thinking, action, inspiration, determination, and love to solve the remaining problems and to achieve a peaceful, united human family on Earth. - There are few things the male population worships more than his tools. To some, a tool is a natural extension of their arm. So, Worship of Tools Day is a logical day of celebration. And, it's definitely a guy thing. Please note, however, there are more than a few ladies who love to work with their hands and find today to be an important holiday. FRUGAL TIP: Skip The Frosting Cupcakes!